The 18 October judgment held that the agreement, which saw the local health authority in Veneto in Northwest Italy and a Venetian hospital grant €700,000 to Catholic medical facility Istituto Sacro Cuore to distribute isotopic tracer 18-FDG in the region, satisfied the definition of a public contract for pecuniary interest under EU Directive 2004/18. Article 2 of the directive further requires states or local bodies to award public contracts “in a transparent way” and treat parties “equally and non-discriminatorily”. The case arrived at the ECJ via the Italian Council of State, which is hearing a challenge to the contract lodged by IBA Molecular Italy – previously the exclusive distributor of 18-FDG in Italy. IBA claimed the contract was awarded directly, “without a prior public tendering procedure”. Under the terms of the supply contract, Sacro Cuore received the €700,000 grant to manufacture and supply 18-FDG free of charge to nine local hospitals, which only paid delivery costs. IBA’s initial challenge failed in the Administrative Court in Lazio, which found neither the Sacro Cuore’s grant nor its delivery costs constituted direct payment, meaning the deal didn’t qualify as a public contract for pecuniary interest under Directive 2004/18. Even if it had, the court said, the contract constituted an agreement between public authorities to which EU law on public procurement does not apply. As such, the Council of State asked the ECJ to issue a decisive ruling on the status of the deal under Directive 2004/18 and to rule on whether the directive should preclude national rules which take classified hospitals outside the scope of rules on public contracts. Regarding the first question, the ECJ declared that “there is no doubt as to the pecuniary nature” of the contract between the Veneto region and Sacro Cuore. 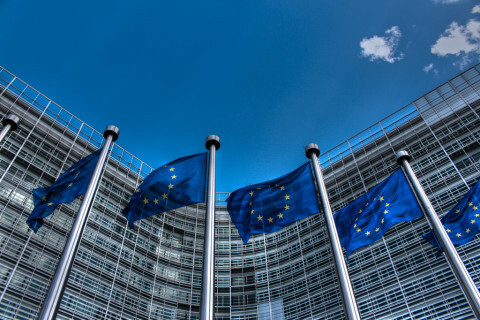 The ECJ explained that the usual legal meaning of “pecuniary interest” encompasses contracts where each party provides a service in exchange for another. As such, the contract between Sacro Cuore and the Veneto region, where remuneration was given in exchange for the free supply of 18-FDG, is covered by the concept of a public contract. This was true even when, as here, the remuneration was limited to the reimbursement of costs to supply the agreed services. The court went on to explain that there were only two types of public contract, entered into by a public entity, in which EU procurement law does not apply. The first is when the contracting authority exercises control over the other party in a manner similar to the way in which it controls its own departments. The ECJ said it was “clear” that neither the Veneto region, nor any of the other contracting authorities involved in the case, exerted this type of control over Sacro Cuore. The second is when public contracts for pecuniary interest aim to perform a public task, carried out solely by public bodies without the participation of a private organisation. The court explained that this is to prevent a private body gaining a competitive advantage. As Sacro Cuore privately manages its funding and the appointment of its directors, it does not satisfy these criteria, the ECJ ruled. It therefore declared that Directive 2004/18 must be interpreted as precluding national rules that take “classified” hospitals outside the scope of national and EU rules on public contracts, including cases in which these hospitals are funded to manufacture and supply products to public healthcare establishments for free. “The decision enlarges the perimeter of application of public procurement rules and will be welcomed by IBA and other suppliers to public entities, which sometimes suffer the ‘unfair competition’ of operators claiming not to be bound by public procurement rules,” Paola Sangiovanni, transactional life sciences counsel at Gitti and Partners, told PLN. “The ruling seems absolutely fair to me, as well as simply, logically and even beautifully argued,” she added.